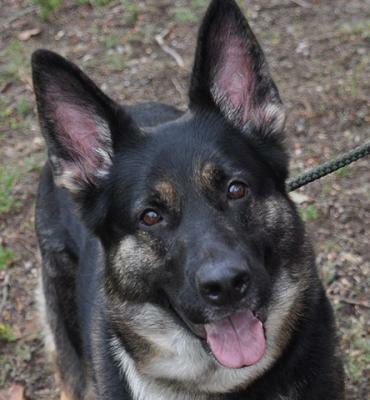 BAMBINEEDSAHOMEANDFAMILY - Southwest Florida German Shepherd Rescue Inc.
SWEET BAMBI NEEDS A NEW HOME BAMBI came to our rescue today 4/1/19. She was basically stuffed into a super small kennel and left outside the shelter. She was discovered like a jack in the box by the person who was about to clean the donated kennel and out pops a beautiful dog. Beyond surprised, the shelter technician brought her inside to scan her. She was chipped and we traced the original adoption to a shelter in West Palm. We got the name of the owner, hence the name of the dog and reached out to them. Obviously they declined to answer our calls and we took possession. 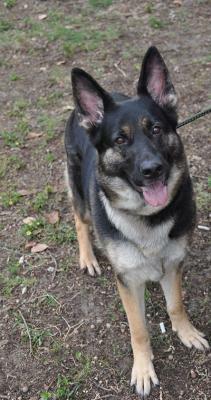 She is spayed, chipped and heart worm neg. She is trained and well behaved. Now that we have had her for a week or so we discovered she bonds quickly. WE DO NOT RECOMMEND THAT SHE BE HOUSED WITH ANOTHER DOG. She is a one person dog. While in the foster (with another super calm male) she basically gets in between the owner (her foster) and the other dog and is quite possessive of her human. On the street, after bonding she is also possessive and protective of her owner with other dogs. 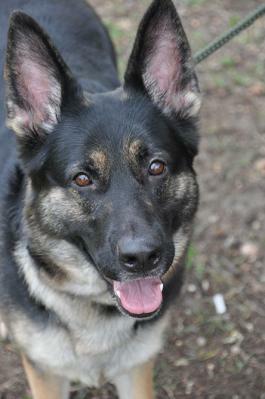 As far as people goes she is a sweet affectionate and gentle girl. 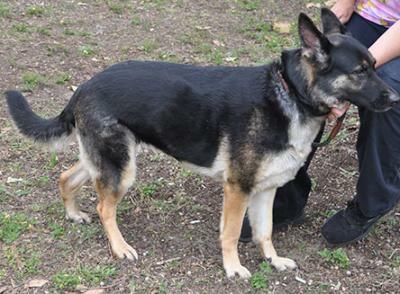 She is good with any amount of people in the home and she is well trained in the house and on a lead. We feel that this was the reason she was dumped. The remedy is training. She needs to know that the person is OK with other dogs present. She does co-exist with the male she is with now but we can see that she would be best off with a single dog household. We confirmed that she is sweet, loves people, being petted, had no reaction in the kennel with other dogs she passed by and was totally comfortable with my handing her. It is once she is bonded and comfortable (after 3 days) that you will see her being possessive. She needs some leash walking training and a prong collar as she does pull a bit. She is house broken. 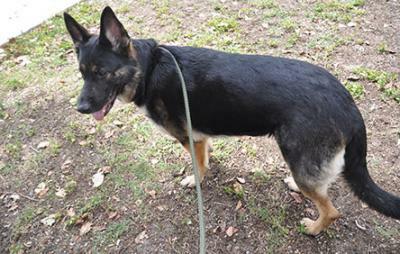 She is easy to leash up and wants to be petted. She has super good shinny fur and was well cared for until to morons who dumped her ... did just that. She is a bit over weight, which is rare. This is a great dog, beautiful and affectionate. 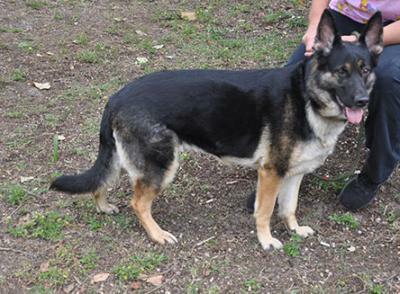 She is about 2-3 years old, spayed and has a chip and all shots.